Mrs. Nikki Chodan grew up in a teacher’s family in northern Wisconsin, thus instilling a love of education at a young age. She graduated from Northland International University with a Bachelors in English Education, followed by a Masters in English Literature from Mercy College. After spending six years teaching in the English Department at Northland International University, she and her family moved to Maranatha Baptist University, where she has been teaching for the past two years. In 2008, Nikki married Tim Chodan; in May, they celebrated their 7th anniversary. Their son Michael is now a year and a half old. Nikki divides her time between teaching, zooming trucks with Michael, shopping at thrift stores, and playing strategy games with her husband and friends. Mrs. Jill Dow holds a Bachelor’s degree in Social Studies Education from Maranatha Baptist University. She taught in a Christian school for several years before joining the faculty of Maranatha Virtual Academy. Mr. Cacayorin has a Bachelor’s degree in mathematics and Master’s degrees in Teaching Mathematics and Theology. For over ten years Mr. Cacayorin has taught math and Bible courses at a Christian school in the Denver, Colorado, area. In the summer of 2010, he became headmaster of the school. Mr. Cacayorin also teaches College Math and Calculus I for Maranatha Online. 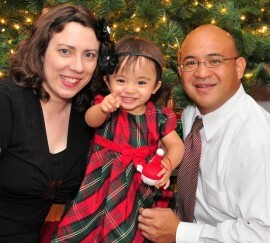 Mr. Cacayorin enjoys visiting Hawaii, cooking, watching baseball, and spending time with his wife and daughter. Mrs. Olt holds a Bachelor’s degree in Biological Sciences from the University of Alaska Anchorage and a Master’s degree in Curriculum & Instruction with a specialization in Science Education. 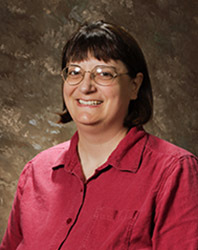 She is currently an Assistant Professor in the Applied Science Department at Maranatha Baptist University. Prior to joining the Maranatha faculty, she served as the Science Department Chair at McNeil High School in Austin, Texas, and as a Biology teacher at Escambia High School in Pensacola, Florida. She also served for two years as a Lead Instructor for a national professional development initiative to improve the quality of middle school science teaching. In her free time, Mrs. Olt enjoys spending time with her daughter and husband, as well as jogging and scrapbooking. 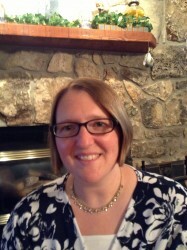 Mrs. Lumm currently serves as an Associate Professor of Digital Media Communications at Maranatha Baptist University. She holds a Bachelor’s degree in Art Education from Northwest Missouri State University and an Master’s degree in Illustration from Bob Jones University. Mrs. Lumm’s experience includes pre-college and college teaching; church printshop operations; proofreading; design; layout; project coordination; illustration of textbooks and books for young readers; and illustration/photo-acquisition department coordination. She has been the designer or project coordinator for a number of textbook series published by a leading Christian publisher and has served as the art director for several Christian school periodicals. 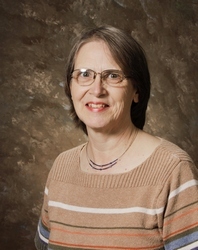 Mrs. Lumm has presented workshops on art education, image-editing ethics/legalities, and visual communication at Christian educators’ conventions, and she frequently serves as an adjudicator of Christian school art competitions. Miss Bolton graduated from Maranatha Baptist University with a Bachelor’s degree in Elementary Education and from the University of Wisconsin, Whitewater, with a Master’s degree in Curriculum and Instruction in Physical Education, Health, and Coaching. Miss Bolton ministers as the Assistant Athletic Director at Maranatha Baptist University and as an assistant coach for Maranatha Baptist Academy’s Junior Varsity Volleyball and Girls’ Basketball teams. 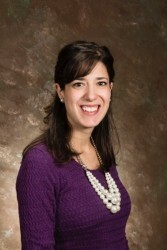 She also serves as an Assistant Professor at Maranatha Baptist University teaching Nutrition for Maranatha Online. Her teaching experiences range from a one-grade, traditional elementary classroom to a multi-grade, video school as well as being a school administrator. She has taught elementary and high school physical education classes as well as teaching college fitness and nutrition classes for many years.